Big day for Canada and a big day for Island on Day 4. Canada took 4 medals tonight at the Jr. Worlds. The evening started with Chantal Van Landegham taking another medal in the 50 meter fly. In a close and exciting race she tied for the bronze. Next on the block for Canada was Brittany MacLean in the 400 free. She took the race out right from the start and held the lead the whole way, taking down both the Aussies and the Americans. That really got the Canadian Team and fans going. The surprise of the night came from Erika Seltenreich-Hodgson in the women's 200 IM. She was a somewhat unexpected finalist from the prelims in the morning. She took to the race with nothing to lose and had the swim of her life to take 2 seconds off from the morning swim and a Bronze medal. She blocked the Americans from the podium in one of their signature events. Ok this had the team revved for the next event. The Island Boys with Alec Page and Keegan Zanatta teamed up with Omar Arafa from Etobicoke and Chad Bobrosky from Cascade in the men's 4 X 200 relay. Alec led off with a flat start 1:51 and had Canada in the mix right away. Keegan came in and held the position edging past the Americans but behind Poland, China and Italy. Omar took off like a rocket and we crept up to 3rd for Chad, the 200 meter men's gold medalist. Chad quickly over took both China and Italy. 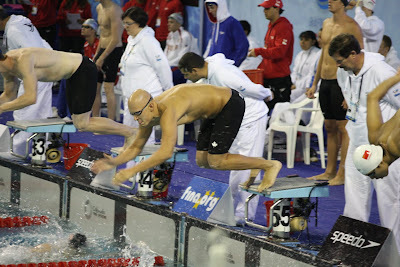 By 150 meters he took the lead from Poland. Canada ended up with it's 4th medal of the night and second gold. The whole team and parents on the other side were going nuts. 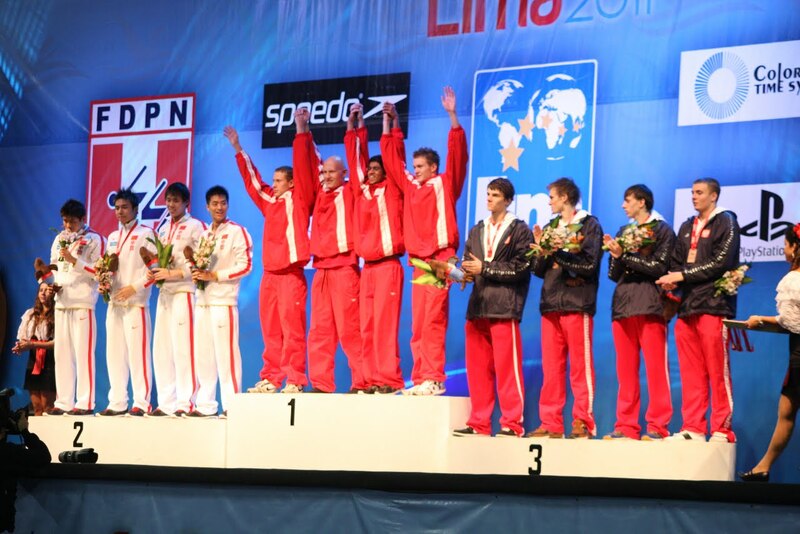 Canada now has 9 medals (3 gold) and is second in the medal count to the USA. 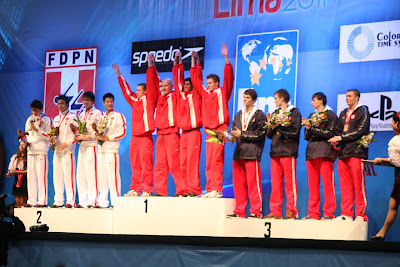 We have 2 days to go and we have already surpassed any Canadian team at a World Championships by 4 medals. 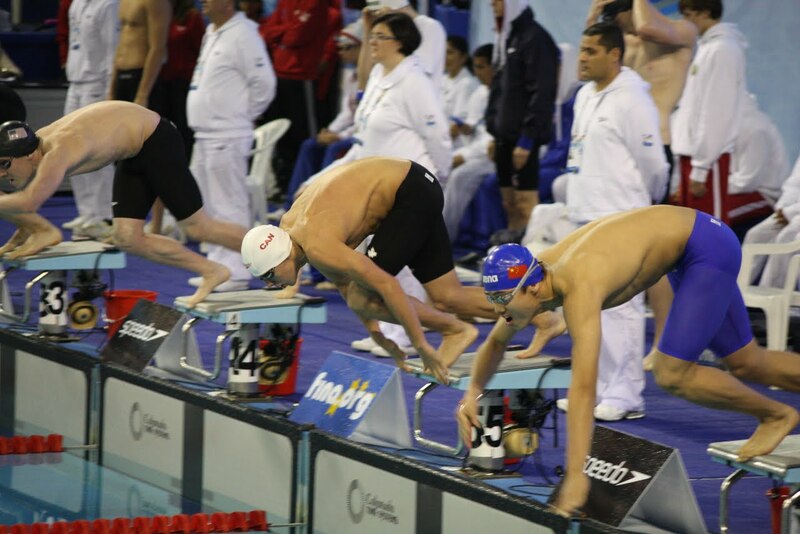 Things are looking good for the future of Canadian Swimming. Tomorrow will see Alec in the 400 IM. 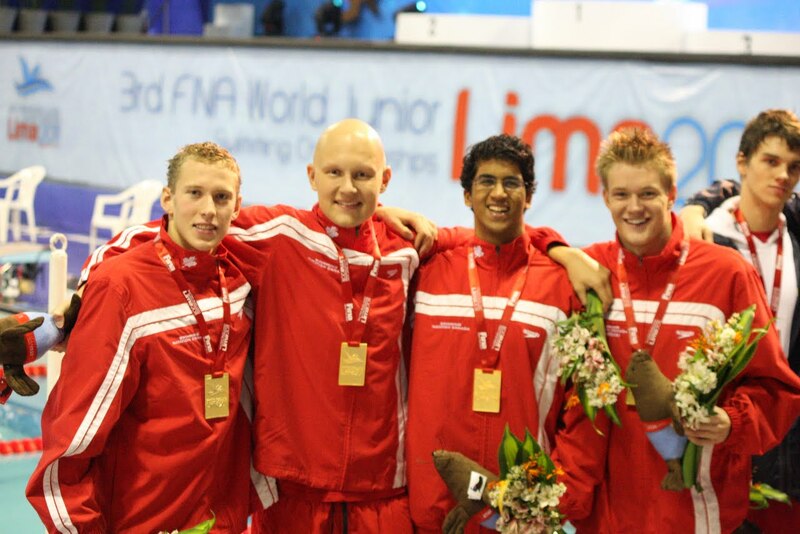 He is ranked 5th and just recently became the new Canadian record holder in the boys 15-17 400 IM.